The Difference between Handcrafted natural cosmetics and commercial ones. We are truly living in a golden age of soap. In a golden age of Handcrafted natural cosmetics! We all use soap on a daily basis, being in the shower or to wash our hands throughout the day. Over the ages, people have used a variety of materials to wash things. Handcraft natural cosmetics like soaps are used as cleanses materials since not long ago!!! Is Handcrafted natural soap cosmetics? The answer is YES!!! Handcrafted natural soap has two abilities. The first one is that Handcrafted natural soap is a perfect cleanser! The second one is that because of its natural ingredients and their cosmetic properties is a perfect cosmetic too!!! There are facial soaps, moisturizing soaps, deodorizing soaps, nourishing soaps, beauty bars, antimicrobial soaps and many more. Soap is made by reacting fats and oils with sodium or potassium hydroxide. Soap has been seen as simply a mixture of fat with sodium hydroxide. In this mixture, Soap is made by reacting fats and oils with sodium or potassium hydroxide. Fat actually decomposes into soap and glycerin. The end result is a safe and gentle product that’s perfect for the skin! People with skin sensitivities will especially see and feel the difference that using a handcrafted natural soap can make. A given amount of fat requires a specific quantity of sodium hydroxide for the reaction to be complete. Sodium Hydroxide, once mixed with water, donkey milk in our cases becomes a solution known as lye. Lye is a vital component of the saponification process and real handcrafted natural soap will not form if there’s no sodium hydroxide in the mix. There are 2 processes of making soap today. Cold (CP) and hot process (HP). Soap because of its properties became a commodity produced by large national and multi-national corporations. The cold process, however, it became central to the handcrafted soap movement. There are two types of soap- those that are commercially made and those that are handcrafted natural cosmetics – soaps. Handmade soaps may have a higher entry price, but that’s because they provide a whole lot more benefits when it comes to your health and well-being. What is the Difference between Handcrafted natural cosmetics and commercial ones? 1. Handcrafted natural cosmetics – soaps are true cosmetics. Commercial soaps they are not made, but rather “manufactured” using high energy processes and various artificial cleaning agents. While handcrafted natural cosmetics – soaps are made in small batches with great care. They are made from soap-makers that they like natural products or they want to come back to nature! They are People who have a passion for making natural products consider it as a labor of love and not something they make just to profit. It’s an art that takes years to perfect. 2. The glycerin byproduct in Handcrafted natural cosmetics remains. The key difference between the two processes is that when soap is boiled (HP), the glycerin byproduct remains in the spent lye, from which it may be extracted and sold as a separate product. In the CP, all of the glycerin remains in the soap. 3. In Handcrafted natural cosmetics, all ingredients are 100% natural. 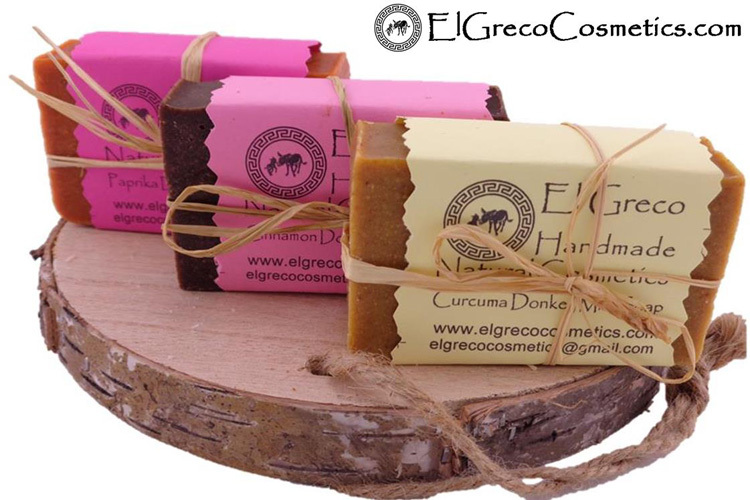 Handcrafters, like we at El Greco Cosmetics, use a much larger pallet of oils, colors, and scents that are used in the commodity industry. We are using for our Handcrafted natural cosmetics – soaps only and 100% natural vegetable oils, that are rich in nutrients, vitamins, and antioxidants, such as Coconut oil, palm oil, olive oil, and castor oil. These are the ingredients handcrafted natural soap makers use to make their natural soap. These are the type of ingredients that your skin, hair, and body need and will love. Nutrient-rich coffee grounds, oatmeal, paprika, Curcuma, honey are some ingredients used to provide different benefits for you and your skin. And of cause our secret ingredient which is Donkey milk that comes from the donkeys of our farm. So It’s not just water that gets added to the saponification process. 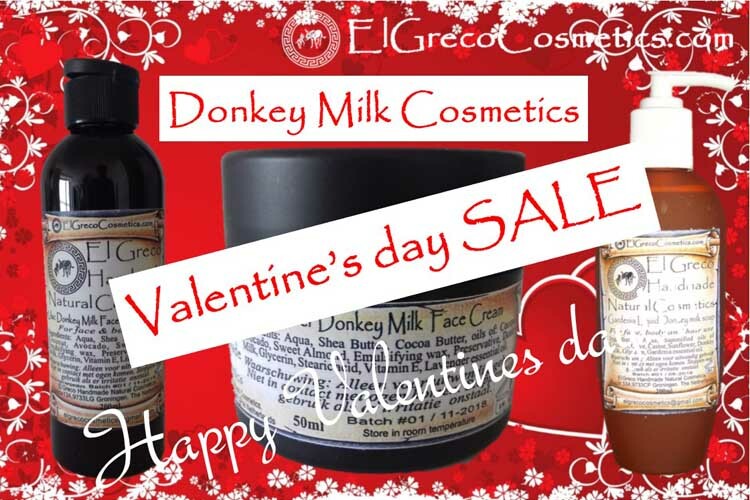 Donkey milk is on its own a perfect cosmetic factor since centuries! The better the ingredients, the more effective the soap. If you want to get better, healthier skin, you should consider switching to natural handcrafted soap. Natural soap makers love the color, and they love how they could add natural ingredients to their handcrafted soap to make it look beautiful. There are herbs, such as paprika and Curcuma that we are using for making our handcrafted natural cosmetics – soaps. 4. Handcrafted natural cosmetics with perfect pH Factor. The pH of the soap shouldn’t match your skin. The human skin is naturally acidic in order to destroy any bacteria and fungi that come in contact with it. Our skin is at 5.5 on the pH scale. The act of cleansing dries the skin, and for this reason, you’ll need a soap that has a higher pH level than your skin. Handcrafted cosmetics – soaps should measure somewhere between 9 and 10 on the pH scale. 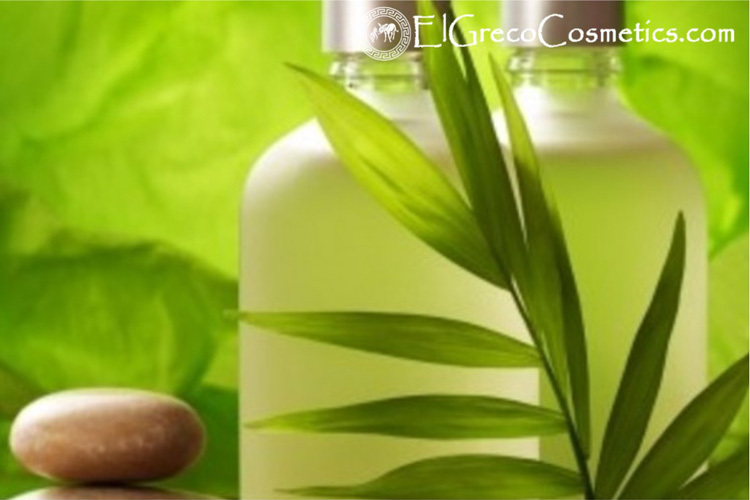 Why El Greco handcrafted natural cosmetics?